This unique old-fashioned looking Forged Iron Wood Holder is designed to match all of the accessories in the Pilgrim Old World line of products. The beautiful old world design is reminiscent of hearths from days gone by, but is so much more than decorative. This holder, finished in natural iron, allows to you store several logs close to your fireplace, or somewhere on your hearth. 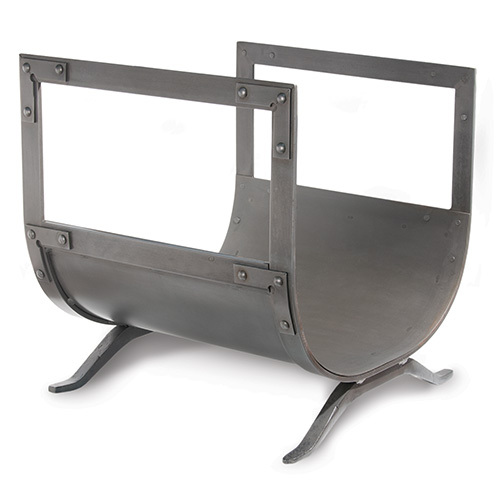 This durable wood holder will have not trouble withstanding years of frequent use, with its sturdy construction, and with its striking riveted corner brackets, this is wood holder is a fireplace must-have.